The Problem: For someone that’s less than five years in to his career, this question can be difficult because unless you are truly prepared to answer it, you will either overthink it, or worse, not put any thought into it at all. This questions is extra difficult for a millennials because just starting out, you may not know literally where in the world you will be in five years or if you will even like this job or this company or what skills you may learn along the way that will develop into a passion for you. A millennial that overthinks this question might end up staring blankly while attempting to complete a word problem in her head involving five years plus percentage raise divided by growth opportunity… too little thought and a millennial might ummm sound… ummm like they are solely focused on acquiring beer money at this time, but fully plan to be the next Mark Zuckerberg in a few years. This is why hiring managers are encouraged to specifically ask this question to millennials. What do they want to your response to be? Hint: It does not include staring blankly or the word beer. We’re here to give you the perfect response to the age old question asked to the generation that is most likely to bomb the answer. The Response: Drum-roll please. When asked where you see yourself in five years the best possible answer for millennials is… a prepared one. The most important thing to remember about your answer to this question is you need to know it prior to walking into the interview. It simply cannot be winged. If you are a millennial, you can be assured you will be asked this question in some way or another, so figure it out now. 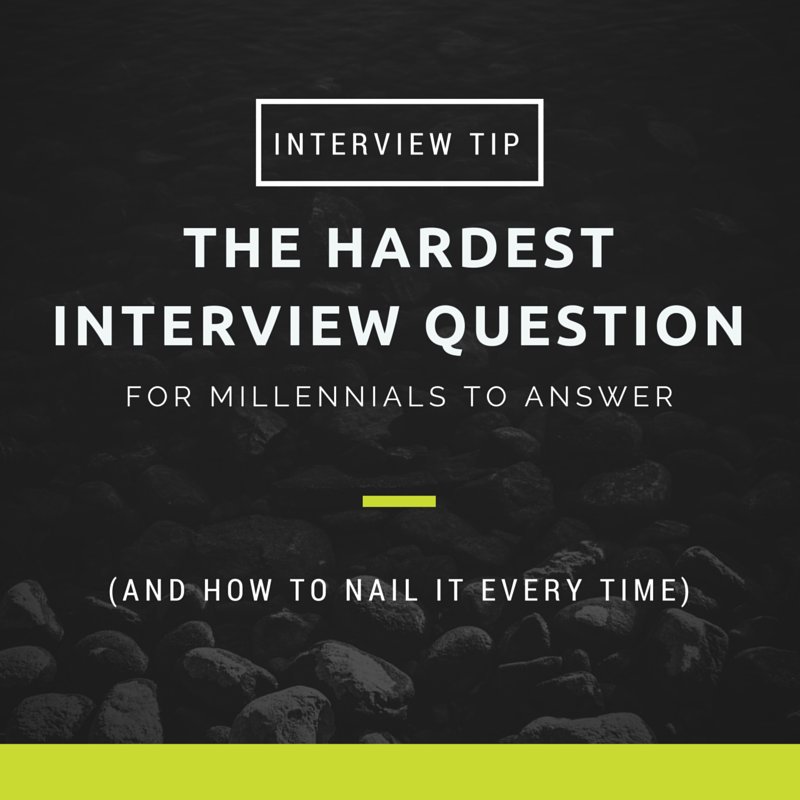 Since millennials are such go-getters, you will likely envision yourself a couple or three roles above the one you are interviewing for at the company you are interviewing at of course. So fill in the blanks and walk in there with your slightly too ambitious answer, you overachieving millennial, you.